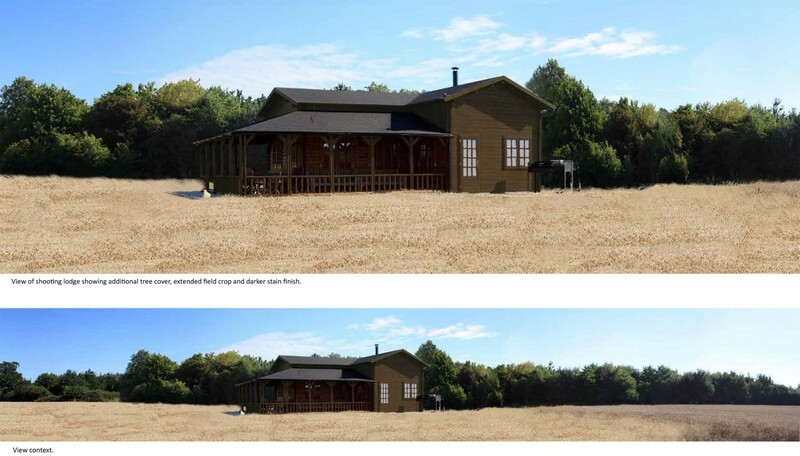 Influence were asked to produce a Landscape and Visual Impact Assessment (LVIA), reviewing the suitability of an existing shooting lodge on a large Suffolk estate. 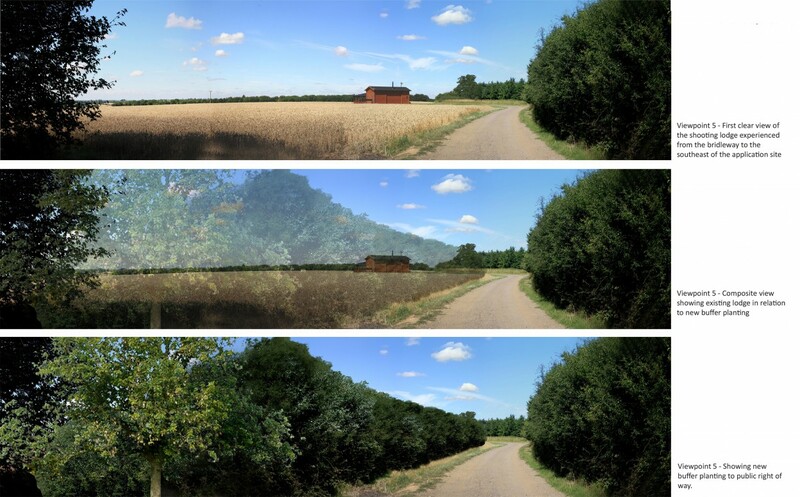 Our appraisal evaluated the landscape surrounding the shooting lodge, identifying potentially sensitive visual receptors. 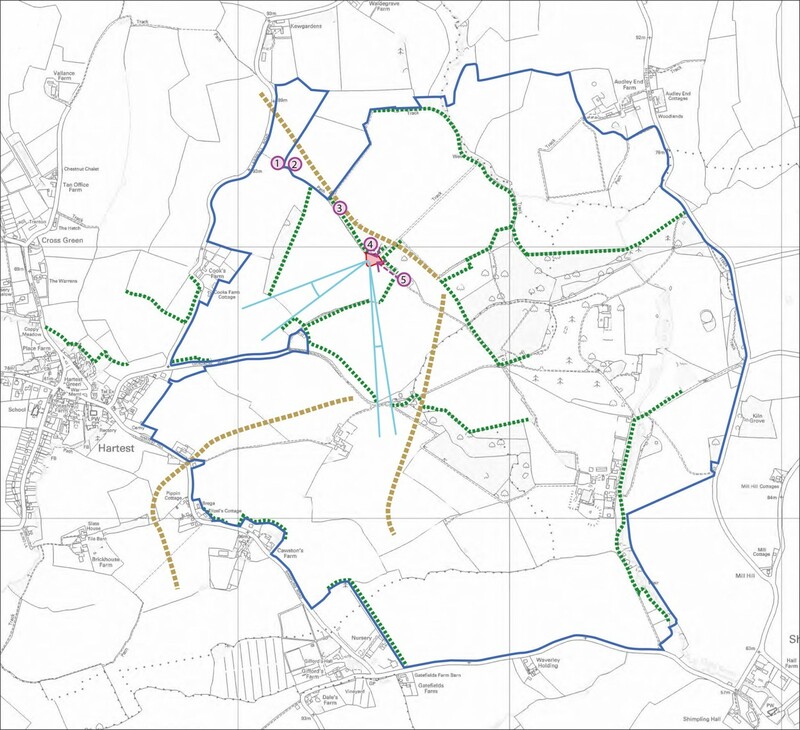 We then produced mitigation proposals, including a visualisation of the established landscape scheme. Having provided the baseline landscape and visual analysis, we were commissioned to produce detailed landscape mitigation measures. Our proposals included transplanting and replanting trees and vegetation in strategic locations around the shooting lodge to alleviate its visual impact on the surrounding landscape.